James Tubbs was an English bow maker at the turn of the 19th century, and his bows are highly prized by professional players. 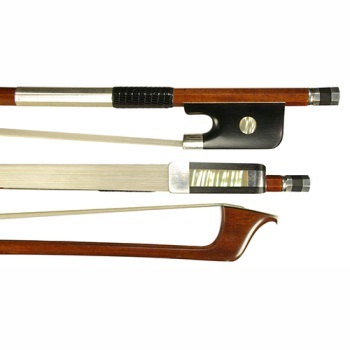 This fine pernambuco copy of one of his later period bows elicits a powerful response, while still allotting the player even tone for more delicate passages. The boldly carved ebony frog has plain abalone eye and an abalone slide, and is silver mounted to match the button and winding.